Things to read whilst transiting: A fascinating NYT Magazine article on the island nation of Palau’s use of technology in the ongoing battle against illegal fishing. Palau includes 250 islands and has 21,000 residents. Yet the nation has authority over 230,000 square miles of ocean — and owns just one patrol ship. Any smart Source readers know which city in L.A. County where this photo was taken? Hint: the building is about a half-mile from a future Metro Rail Station. Photo by Steve Hymon/Metro. With the extension to Azusa opening on March 5, Joe Linton was aboard for the media ride on Wednesday and writes that the new Gold Line segment provided a “smooth” ride to Azusa in about 20 minutes from Sierra Madre Villa Station in Pasadena. He has lots of pics and video. One note: here’s a revised version of the new Gold Line timetable. At peak hours there will be service every 12 minutes to the new stations in Arcadia, Monrovia, Duarte, Irwindale and Azusa. Over at the Tribune, Steve Scauzillo reports that the 15 new Kinkisharyo light rail vehicles that Metro will need for the new segment have been delivered. Please see this post for a few observations from Anna Chen’ on the new Kinkisharyo rail cars that will be used on the Gold Line. Both malls are facing increased competition from newer, glitzier malls. Both malls also have something else in common: they will be near rail transit. The Beverly Center. Photo by Renah, via Flickr creative commons. The Expo Line’s Westwood/Rancho Park Station is a five-minute stroll from the Westside Pavilion (the Expo Line extension to Santa Monica opens this spring). 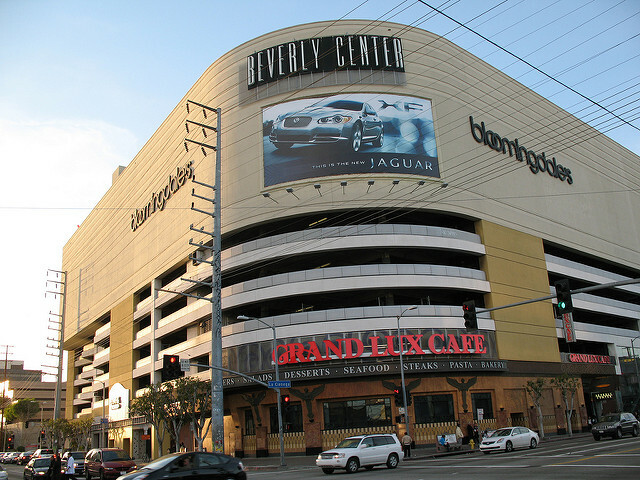 The Beverly Center is about a 3/4-mile walk from the Purple Line Extension’s Wilshire/La Cienega Station. The blog post by former LAT city editor Bill Boyarsky focuses on the Pavilion, with rumors swirling of a major makeover — spurred in part by its prime location on Pico Boulevard and proximity to the Expo Line. But there’s a potential glitch. 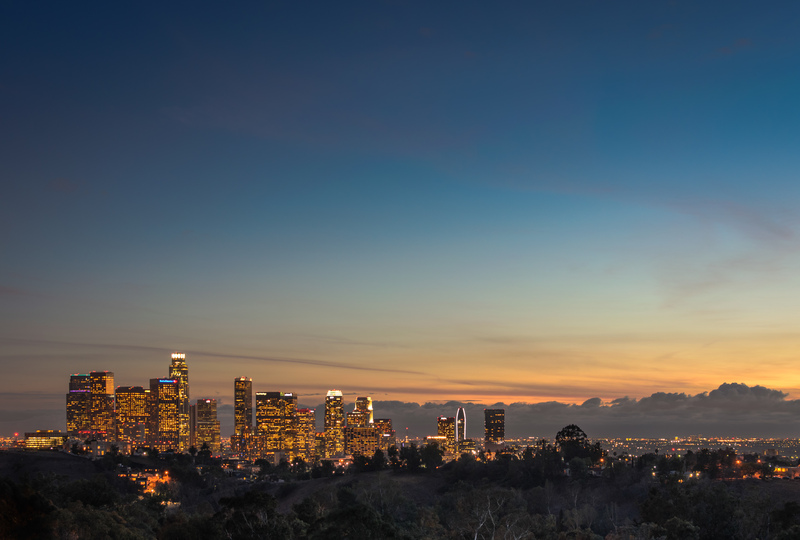 A group called the Coalition to Preserve L.A. is pushing possible ballot measure in the city of Los Angeles that would make it much more difficult to build large development projects with housing. A ballot measure about density and big developments in L.A. could be headed to the November ballot. Photo by Steve Hymon. Former LAT columnist and LA Weekly editor Jill Stewart has been hired by the Coalition to Preserve L.A. to lead communication efforts on their possible ballot measure. I have not been impressed at all by the city’s Department of Planning, which of course I call an oxymoron. I have not been impressed by the new urban theory that very dense development through neighborhoods near bus stops, and so on, is going to reduce congestion. In fact, we’ve seen the opposite. The key projects that have been created have increased congestion. I put that theory on par with the urban planning theory that crowding poor people together into high-rise public housing was a good idea. It was a social disaster. I put it up there with the notion that putting strip malls all over the city was a good idea—another planning disaster. My three cents: I don’t think the sole purpose of density is to fix traffic. Without regurgitating all that has been written on density, I’d say density can: help make neighborhoods more walkable and convenient (you don’t have to drive everywhere); support a wide variety of businesses; put needed housing closer to jobs; lower public infrastructure costs, and; provide an alternative to sticking new housing way out in the ‘burbs, where driving is often the only way to get around. Density can also support transit, as more people live closer to more stations. Plus, there’s this: density has made a lot of cities around the world desirable places to live, work and visit. 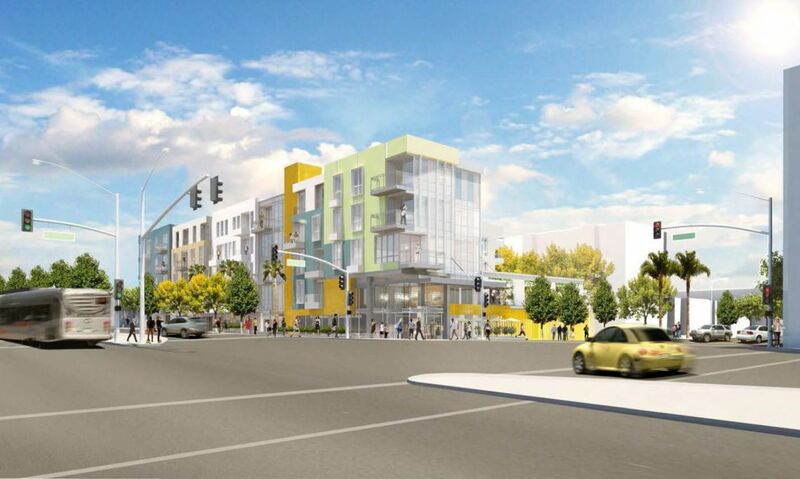 More here on Metro’s efforts to build transit-oriented communities. You referenced earlier your skepticism about public transportation. Would your group oppose a second sales tax initiative to further investment in public transit for Los Angeles County? I can’t speak for the organization. But I have been long opposed to additional taxes going into the next 60, 70 and 80 years for transit. They haven’t proved that it’s working. They’ve given us some nice lines that I enjoy—I’ve used the Red Line and Orange Line many times. But right now, their Environmental Impact Reports—especially the Purple Line’s—show that it will reduce congestion by less than one-half of one percent. People are going to continue to use their cars at the exact same rate between the Westside and Downtown after the Purple Line is done. As we’ve written many times before in this space, transit provides an alternative to traffic. The Purple Line will offer a fast, frequent and affordable option to those who wish to avoid Westside traffic both for those with a car and those who depend on transit. Many perfectly lovely cities around the world with vast and popular transit systems still have big-time traffic. That doesn’t mean those transit systems have failed. 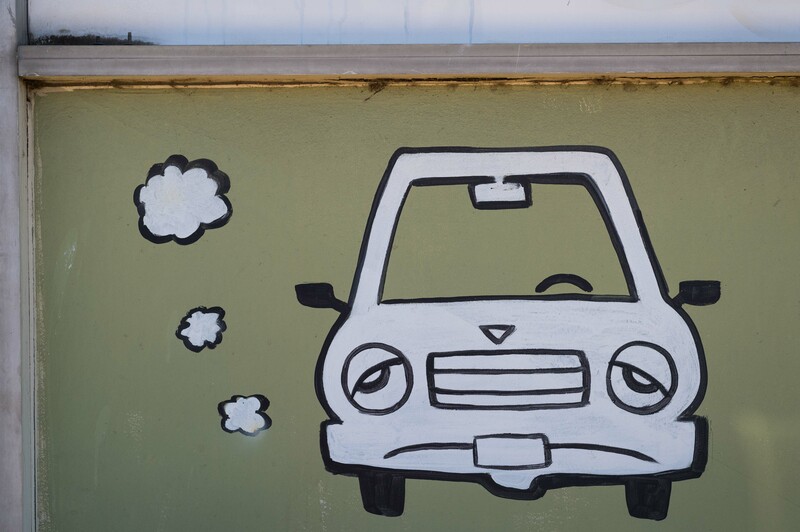 It just means that cars are very popular and affordable to the masses. As for Metro’s potential ballot measure, there will be ample chances to discuss that in the coming weeks. It’s worth noting that previous ballot measures helped build the Red/Purple Line mentioned above. Given the size of our region and the expected growth here, I’m not sure how halting investments in our infrastructure preserves a better version of L.A. Remember, the good ol’ days of unrelenting traffic in L.A. resulted in voters deciding to invest in a modern transit system via Prop A (1980), Prop C (1990) and Measure R (2008). All that said, I do think there’s a lot of interestingness in this interview about the planning process and affordable housing in L.A. It has been many years since many community plans in L.A. have been updated (there’s a lot of reasons why) and that has resulted in a lot of planning on a case-by-case basis — a surefire way to create and sustain controversy. The residential-retail complex in Valley Village would replace a carwash. Attentive readers will notice the above rendering includes the hindside of a Metro bus. A noteworthy nugget: the $2 station-to-station rides on the Antelope Valley Line appear to have resulted in a ridership up-bump. Metro is one of five country transportation agencies that funds Metrolink commuter rail. The skyscraper boom in Gotham is now spilling over to very transit-friendly downtown Brooklyn. This project would include some affordable housing as well as the usual high-end stuff being built across the New York area. Fun fact: “rents for the most expensive apartments in Brooklyn fell 6 percent in January from a year earlier, to $5,163 per month.” Gulp. Programming note: I’m still working on my Foothill cities photo essay to coincide with the Gold Line extension opening. If you’re a future Gold Line rider or have a transit-accessible business in Arcadia, Monrovia, Duarte, Irwindale or Azusa and want your picture taken, email me or call me at 213-922-3578. Feb. 16: bullet train versus drought, roundup of new Metro staff reports. Feb. 12: will pulling up to your hot date on transit ever be the same as pulling up to your hot date in a Ferrari? Feb. 8: ExpressLanes tolls and what went wrong with our Super Bowl pick (short answer: Von Miller). I have a post up on the blog about the radically subversive mission of the Coalition to Preserve LA, for anyone who– like me– was astonished by the “Let them eat cake” attitude Stewart so proudly displays in this interview. Hi. Quick question. Is there a reason why the Union Station to Atlantic Station segment of the Gold Line is being excluded from the new timetables? Because the Union Station-Pico/Aliso segment is closed for construction until March; work is ongoing for the Regional Connector project. Once normal Eastside Gold Line service resumes, the timetable will be updated. The area at and around the Beverly Center and Ceders could really use a connector (That Pink Line Idea was pretty rad). While I looked at this area on Monday, the walk up restaurant row to the Beverly Center aint bad at all from the Purple Line, but the layout of that area, where San Vicente,Beverly, And La Cienega all meet are really deserving since its just wouldn’t be great to shop and carry bags to the La Cienega Station. Whether that’s from Foot Locker or the Trader Joes’. Imagine getting from Hollywood/ Highland to the Beverly Center in less than 5 minutes? That would be awesome. Had an appointment on Haskell and Santa Monica Blvd, and that took about an hour and fifteen minutes to reach via bus. Huff. Question: When the first train departs sierra madre station for the opening ceremony, will there be a celebration for it’s arrival in azusa?